You may have seen an infographic and not even realize you were looking at one. Infographics are handy tools to help you describe a concept to a reader through a combination of pictures and a very small amount of text. One of my favorite ways to use Infographics is as a marketing tool for your business. They add a certain flair and can spice up a presentation, report or brochure. Below are 6 examples of how you can use infographics. Pinterest was built on infographics which have turned Pinterest into more of a search engine than a social media platform making Pinterest is the go-to platform for “how-tos.” A good infographic with lots of usable, valuable info can be a recipe for viral content that is not only pinned and re-pinned but that also gets shared. Based on the content an infographic provides, it positions the author as an expert in their field. Since infographics offer lots of value, they tend to be saved and shared by those who “consume” this type of content. When content is shared and linked to from other sources, search engines recognize this as valuable content and ranks it higher in their search results. 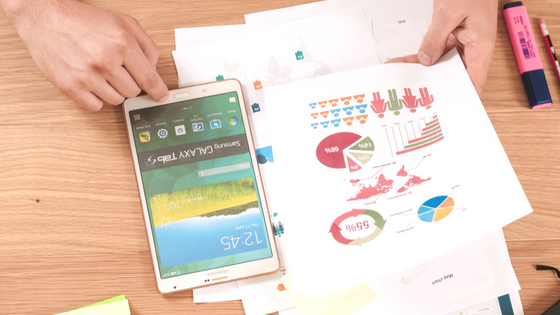 Now that you know what infographics are and how they can benefit your brand and business, how can you create them? 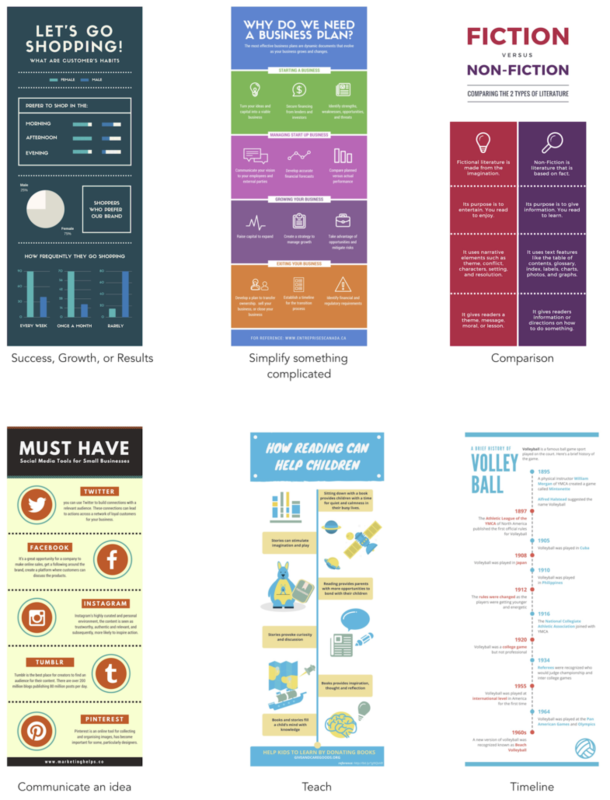 My favorite tool for creating infographics is Canva.com. They have a ton of templates and layouts for you to use as well as a huge library of images, clipart, symbols, and icons to choose from. Get creative, start designing, and have fun! *Editors note: This blog post is not part of an affiliate program, nor does its author receive any compensation for writing about Canva, its products, and services.